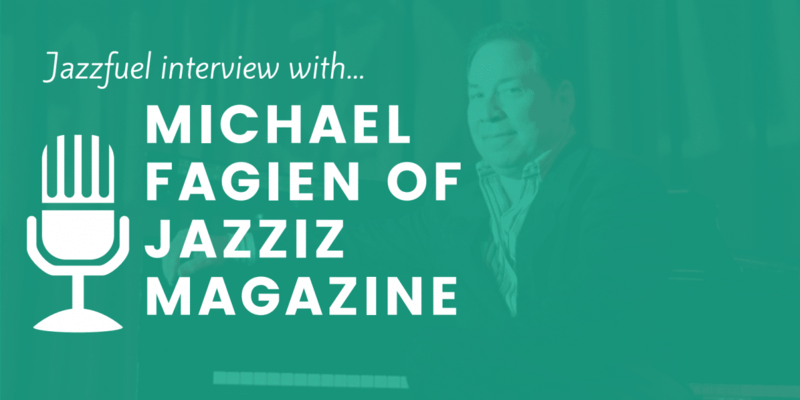 Today’s interview is with Michael Fagien, the founding editor of America’s Jazziz Magazine. 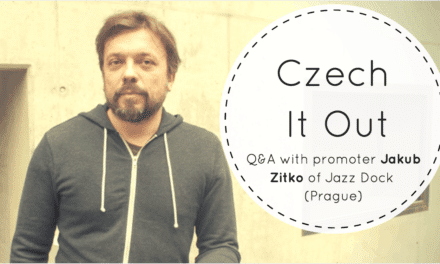 With over 30 years of experience in the jazz industry, he’s seen first hand how things have changed and gives his insight on building your audience and connecting with press in the 21st Century. Michael Fagien founded leading US jazz magazine Jazziz in 1983 and has been involved with the jazz industry ever since, both through publishing and other music-related ventures including record labels and venues. I was introduced to Michael when I worked in the agency department of Jamie Cullum’s management company. Jazziz Magazine had been strong supporters of Jamie early on and I wanted to introduce Michael to the singer-pianist Anthony Strong who I manage. I’ve e-met various people on the Jazziz team since then and it’s a great mix of good jazz & good business – something I think every musician should aim to replicate! 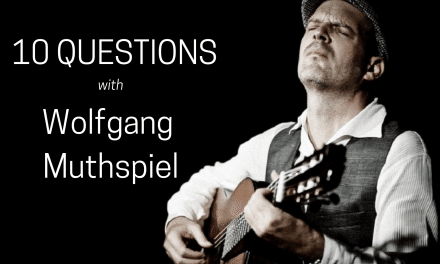 As someone who’s been in the industry for 30+ years, Michael has worked on various roles in various projects, and I wanted to touch on a few of these in this Q&A with the goal of giving you some ideas on how you can grow your own project as a musician. That’s not to take the importance of attention away from your record, but to push you to pull out the other stories and information that will make promoters listen, get journalists to give you publicity and draw jazz fans into your project. How important is a new artists’ digital presence (social media especially) when trying to get covered by big magazines? I can only speak for JAZZIZ, but whether or not there is a digital or analog presence, there are essentially two basic criteria my editors look for before covering an artist, musician or ensemble – and they are equally important. One criteria depends on whether there is a story ‘behind the music’. Does the music speak to our audience? We don’t simply rely on whether the music or album is something that one critic likes or dislikes, but more important, if it’s an album that our editors feel our readers should know about because it will be a worthy (or unworthy) addition to their jazz vocabulary. A lot of DIY artists underestimate the potential of online advertising for reaching a bigger audience. What sort of figures does Jazziz do in terms of online reach? Should artists be utilising the power of data more? We’re less interested in website traffic alone (as most people scour the web for “free stuff”) and more interested in people who are interested in music (and willing to pay for it). So our key reach indicator, digitally, takes place through our opt-in weekly newsletters, to 70,000 readers each week, where we offer fresh content between our monthly digital and quarterly print issues. When someone simply clicks on our home page, since we don’t know who they are, we offer them free access to content when they sign up and give us a little information about themselves. We collect this data so that we can target customers with the content that would be more interesting to them. So yes, this is the kind of data that artists should be using. I read once that Jazziz is known for covering the “stories behind the music” – how important do you think it is for the hundreds of jazz college graduates each year to think about their ‘story’ as well as the notes they play? Everyone has a story, more or less. It’s more about how one frames it. Sometimes, musicians don’t think they have a story or an angle when in fact their life is a long story. The magic is how to condense it into a short one that someone would want to read. 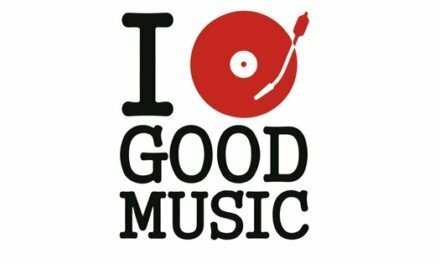 Do you think independent musicians could/should be more proactive in looking for collaborations outside of music to reach a bigger audience? This is demographic-versus genre-specific marketing. When I started my jazz label with Lee Ritenour and Mark Wexler, we made it a point to use some of the similar marketing techniques at JAZZIZ and to work with companies outside of the music business; ones with similarly targeted demographics who appreciate how jazz reaches their target audience and then figure out to position jazz to their existing customers. By working companies like Barnies Coffee and Tea and DoubleTree/Hilton Hotels, our first jazz album, called A Twist of Jobim, became the biggest selling jazz album that year. Most jazz magazines (including yours) have a strong digital presence these days; namely a website and Facebook. Could new independent musicians be using this to reach a bigger audience, in a way that they maybe couldn’t with more expensive print advertising? On one hand, “digital presence” (FB likes, web stats, etc) has proven not to be reliable; and not surprisingly have resulted into lacklustre sales in general and definitely hasn’t worked out well for independent musicians. On the other hand, most jazz magazines don’t have enough print distribution with a critical mass to make print ads work to promote new releases. As a result, most jazz magazines position their digital presence most diligently, if not aggressively, vying for ad dollars from independent musicians and labels. By doing so, they function more like trade magazines where the advertisers (which are by definition from same trade/industry as the content they present) are the priority customers for those magazines and selling ads is their business model. Our approach has been about acquiring paid subscribers with a reader-centric model creating a product that people would be willing to pay for (as opposed to ad-driven business model). As a result we are an “influencer” which also helps to synergize our digital presence. Currently, our print distribution and sales in North America is much larger than every other jazz magazine. That’s not hype generated from our ad sales team, it’s direct data from our distributor, Curtis Circulation, who distributes all three US-based magazines. Our position required a very substantial investment at retail and news stand in order to reach a critical mass but we’ve done so because the success of our subscription-based model depends on constantly acquiring new paid readers/subscribers. In this scenario, our advertisers benefit from our continued growth of new paying customers. You present multiple Jazziz discs each year. How do you and/or your team decide which new artists get a space? It’s a combination of the editor’s recommendations from editorial coverage in the same issue and selection of tracks from new and advertised releases. With our reader/user-centric model, putting our readers/customers first, there are times where we reject advertiser’s tracks when we feel they would not be of interest to our readers. After years of reading interview/review requests from jazz musicians, what’s your biggest piece of advice to a musician when they are writing an email or press release? Email the managing editor: a publishable quality photo a very short “elevator pitch” with a great quote what you feel are the most targeted tracks for the magazine’s readership. If you’d just graduated from a top music college and had a budget of $500 to promote your first album, what would be top of your to-do list? Self-servingly, I would call someone at JAZZIZ and ask how to take that 500 bucks and turn it into $2500 worth of marketing. Really, we don’t want to take musician’s ad dollars; we want to help them promote their new album and often that requires creativity beyond ad placement. In terms of building a fanbase, what can musicians learn and apply from the way magazines such as Jazziz have evolved over the last few years? The answer was obviously “no” and from there we created one of our first “data driven” marketing initiative whereby in every Verve CD there was a business reply card (BRC) offering a JAZZIZ magazine and CD for filling out the BRC card and mailing it in. The results yielded large artist/album customer lists that could be used to communicate with fans, sell music, merch and tickets, while at the same time the magazine was acquiring a continuous influx of new subscribers. This method worked because we’re offering value to the consumer for taking the time to fill out a card giving us some information about themselves and that value requires large investment in time, resources and money. When we add up the cost to JAZZIZ for designing printing and shipping the cards to each label’s CD plant, entering the information from cards sent in into our database and fulfilling the product (manufacturing and shipping magazine/CDs to each customer), we’ve spent millions acquiring our database but as it turns out it’s a great customer base of people that are interested in music and willing to pay for it. Today, we have a dozen or more programs like taking place simultaneously in North American and in other territories around the world. You’re on the board of the Thelonious Monk Institute of Jazz. What’s the difference you’re your experience – between the killer musicians who go onto have very strong careers under their own name, and those that don’t? The Thelonius Monk Institute of Jazz is one of those extremely under-appreciated organizations that do more for jazz than people know. Most people know the organization as a competition or talent search where some musicians go on to become jazz stars and yes, some don’t. But that’s just one of their many programs that has more to do with Tom Carter’s and TS Monks original vision to promote jazz education under the namesake of Thelonious; or when you consider Herbie Hancock’s unmatched influence in jazz and pop (for both listeners and players), TMIJ’s behind the scenes work with loco-regional music education programs in schools around the globe to the creation of International Jazz Day. Their mission to ignite the creative spark for jazz in the minds of listeners and players is immeasurable. Great fact: Jazziz was the first magazine in any niche to put CDs on the front of magazines. How have you adapted that for the jazz age? Our streaming service that essentially lets subscribers-only stream hi-res audio of the music on the CDs that come with their subscription. Thanks to Michael for taking the time to answer these questions! If you’d like to dig deeper into Jazzfuel content on this topic, you can find all articles on jazz promotion here. Michael founded JAZZIZ Magazine in 1983 while in Medical School at the University of Florida and it quickly grew into the largest jazz magazine in the world before entering into a magazine publishing deal with Time-Warner. JAZZIZ was the first magazine to package a CD inside and this model became the gold standard used in computer, gaming and other music magazines and bundled software. Known for its attitude and style and “stories behind the music” aimed at reaching a larger audience, JAZZIZ earned its “brand heritage” and entered into sponsorships, new products and licensing agreements outside the music industry including fashion (Nicole Miller), financial service products (MasterCard), as well as food and beverage, music accessories, books, festivals, concerts and live music venues. In 1995, Michael launched a successful record label in the Verve Group with renowned jazz guitarist Lee Ritenour and label operator Mark Wexler in a joint venture with PolyGram. Its very first release generated a best-selling album (A Twist of Jobim), earning “Album of the Year” leveraging sponsorships to sign artists including Al Jarreau before the label was sold to Universal Music. Today, Michael remains one of the publishers of JAZZIZ Magazine and sits on several Advisory Boards, including the Thelonious Monk Institute of Jazz. Jazziz runs a free newsletter for music students which you can sign up to here. There is also the option to try Jazziz magazine for free by subscribing here. Jazziz magazine recently launched in Canada and you can read what Michael had to say to that on his LinkedIn profile here.